Are we in for a few surprises this week? WrestleMania 35 is in the rear-view mirror, and WWE has passed the turmoil of the road that led to New York on April 7. However, the explosions that happened throughout the 'Mania season has left its effects. In what seems to be some curse, the company has suddenly lost plenty of its stars to injuries. Superstars such as AJ Styles, Ronda Rousey, Rey Mysterio, Nia Jax, Big E, and Daniel Bryan have all suffered from injuries that may lead to their absence from WWE's weekly shows. However, WWE has a large and amazing roster. So, even though challenges may appear, WWE should be fine. 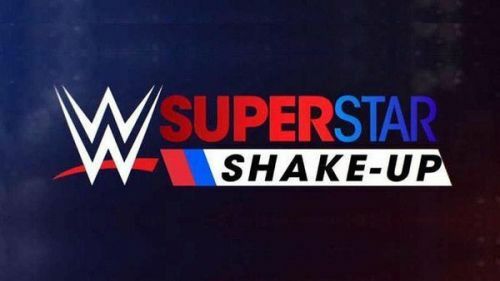 With the Superstar Shakeup 2019 on the horizon, WWE will look to really shake things up to keep the buzz and attention they have been receiving recently. In this article, we present 4 RAW Superstars who must move to SmackDown and 4 who must not. Surprise, surprise! We don't start this list with a wrestler, but somebody who'd beat many wrestlers in a popularity contest. We pick Renee Young as the first star who must move to the blue brand. Also, WWE should make Corey Graves exclusive to RAW after the Superstar Shakeup. Young has been revolutionary, becoming the first full-time female announcer in WWE. However, her RAW run hasn't quite been thrilling. So, it's time WWE freshens things up and gives the talented woman a two-hour show rather than RAW for the time being. Moreover, it'll also give WWE a chance to use Road Dogg at the commentator's desk on RAW. In case you didn't know, Road Dogg stepped down from his position as the "head writer" of SmackDown recently, and rumors say that he'll have a change of role in WWE. And, that's why this decision makes more sense. Road Dogg is a great talker, and he'd excel in this role. And for Young, she's on the learning path with the best days ahead of her. Hence, she must move to SmackDown.